1-SMEB system, Delve region. On the 18th of January at 13:00 EVE Standard Time, Northern Coalition. [NC] forces suffered a heavy blow by the residents of the Aridia region and their allies, resulting in the loss of a titan and 4 supercarriers. Northern Coalition. and local Aridia alliances such as LowSechnaya Sholupen [-LSH-] have been embroiled in a long war over the moons of the region, with both sides taking losses in a conflict that by now spans several years. At the moment though, Northern Coalition. occupies the region and has managed to wrestle control once again, thanks in part to its super capital supremacy. However, the resident alliances have managed to inflict several losses on those they consider as invaders and have been recruiting allies in order to land a heavy blow on their opponents. This all led to the events on the 18th when the makeshift coalition of alliances such as LowSechnaya Sholupen, The Afterlife. [D3ATH], Dangerous Voltage [DV] and many others planned and executed a trap which resulted in heavy losses for Northern Coalition.. The battle itself started with a small Dangerous Voltage Loki strategic cruiser fleet engaging a Northern Coalition. Sleipnir command ship fleet on the 6Q-R50 gate in the 1-SMEB system. The two sides exchanged heavy blows, with the Sleipnir fleet unable to tank the incoming damage and starting to lose ships. In order to stabilize, the Sleipnir fleet quickly lit a cynosural beacon, bringing a triage Chimera carrier to the field. Dangerous Voltage retaliated by bringing in 3 dreadnoughts and quickly dispatched the Chimera. Without their triage support, the Sleipnirs were quickly overwhelmed. Facing total annihilation, the Northern Coalition. 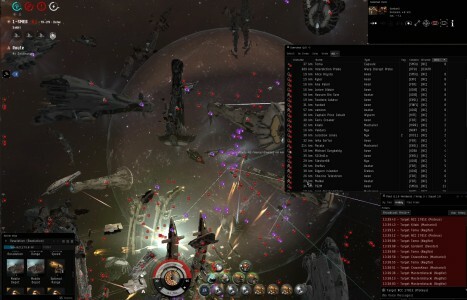 fleet commanders decided to escalate further, and brought a squadron of titans and supercarriers into the field. Unknown to Northern Coalition. this was exactly what their enemies wanted, the entire fight being nothing but bait! As the Northern Coalition. super capitals filtered into the system, many of them travelling from their staging in the Sakht system next door, the coalition scouts kept eyes on their movement. Allowing the majority of the force to pass by and join the battle, the coalition located a few stragglers, in particular 2 Aeon supercarriers and a Ragnarok titan. This was the opportunity they had been waiting for. The scouts quickly lit a cynosural beacon above the 1-SMEB gate in Sakht and brought in its dreadnought fleet, warping it to the gate and jumping in with the straggling super capitals. Tacklers were stationed and notified ahead to keep the gate bubbled. Once the first Aeon jumped in and de-cloaked, it found itself surrounded by hostile dreadnoughts. The dreadnoughts quickly opened fire on the Aeon, managing to drop it into half armor rapidly whilst continuing to bring more dreadnoughts straight into the fight. Points were also put on the other Aeon and Ragnarok. With the first Aeon down, the fleet moved on to the second one, who was travel fit and thus went down even faster to the combined firepower of approximately 50 dreadnoughts. Then came the turn of the Ragnarok, which managed to fire its doomsday device before being destroyed. By now Northern Coalition. had cleared the capitals on the 6Q-R50 gate when the news of the ambush hit its fleet commanders. Without hesitation, pings were sent for all pilots to log in and get in the system while the super capital force warped back to Sakht gate in order to render assistance. By the time it got there the trapped super capitals were destroyed as they were held off the gate by defensive bubbles. Regardless, the force elected to engage the dreadnoughts, forced to commit as the many enemy interdictors kept the gate and its surroundings bubbled, trapping more super capitals as reinforcements for Northern Coalition. kept pouring in. A murderous exchanged occurred, the Northern Coalition. super capitals attempting to remove as many dreadnoughts as possible, the titans firing their doomsday devices at the many dreadnoughts positioned around the gate. However the coalition fleet still possessed a large number of dreadnoughts and was able to overwhelm the Nyx supercarriers in the group. Even with their sister ships putting all their remote repairs on them, the Nyx supercarriers failed to tank the incoming damage, with two of them ending up destroyed by the coalition forces. Dreadnoughts that were not in range or could spare a gun free fired at the Machariel battleships that came to support the Northern Coalition. super capital group in removing tackle and destroying the dreadnoughts. Disorganized and dealing with a large amount of dreadnoughts, many of the battleships were simply torn apart by the enemy forces, adding to the losses of the fleet. Finally, Northern Coalition. managed to get a large number of super capitals and capitals in the system, including several triage Archon carriers. 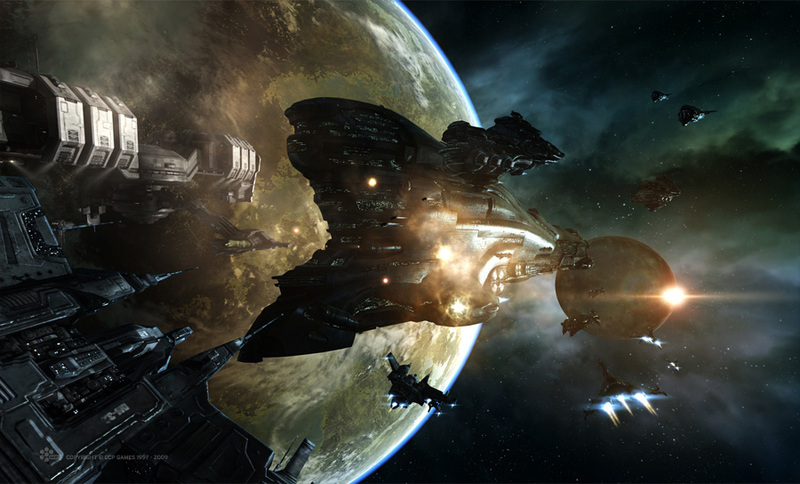 As the third Nyx started bleeding into structure, the triage carriers managed to barely hold it while the titans and other supercarriers raced to remove as many hostile dreadnoughts as possible to relieve the pressure. One after the other titans fired their doomsday devices at the dreadnoughts while a swarm of fighter bombers chewed through the capital hulls. With the Nyx saved, stabilizing and slowly gaining armor, the coalition fleet quickly switched targets to the carriers and dreadnoughts present on the field. After destroying several of them, an attempt to go back and finish the damaged Nyx was made, but by this point the number of dreadnoughts had been greatly diminished. Realizing there was not much more they could do, several dreadnoughts managed to escape the system, either jumping back to Sakht or out to emergency beacons. Those that were unlucky enough to be tackled, attempted to cause as much damage as they could before finally being brought down. Thus, Northern Coalition. managed to secure the field, clearing the last remnants of the hostile force as it withdrew and claiming victory, though at a terrible cost. With that, the fighting in the system ended. Battle report for the 1-SMEB can be found here. All told the fighting lasted 40 minutes with the system hosting less than 200 pilots at the peak of the fighting and no Time Dilation reported. Northern Coalition. 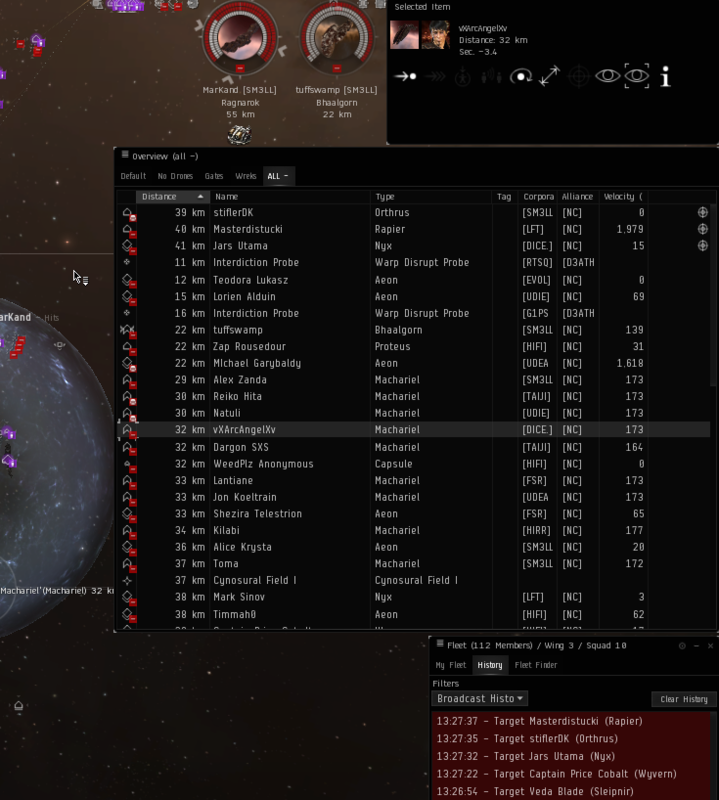 suffered 79 ship losses including 1 titan, 4 supercarriers, 3 dreadnoughts, 5 carriers, 22 battleships and 5 command ships for a total of 283.06 billion ISK damage. The coalition forces lost 65 ships in the battle, the majority of them dreadnoughts, 50 in total for a 150.29 billion ISK damage.